That’s what the company has been doing since it was founded in a former warehouse in Columbus, Indiana, in February 1919, employing just four people. And it will be the mindset the now global company of more than 58,000 men and women embraces for the next 100 years. Clessie Cummins and his business partner, William G. Irwin, built Cummins around the concept when they adapted the diesel engine, a potentially groundbreaking technology at the time that had floundered in North America, for use in multiple applications. Little did they know their company would eventually expand to Brazil, China, India and the United Kingdom, to name just a few locations. 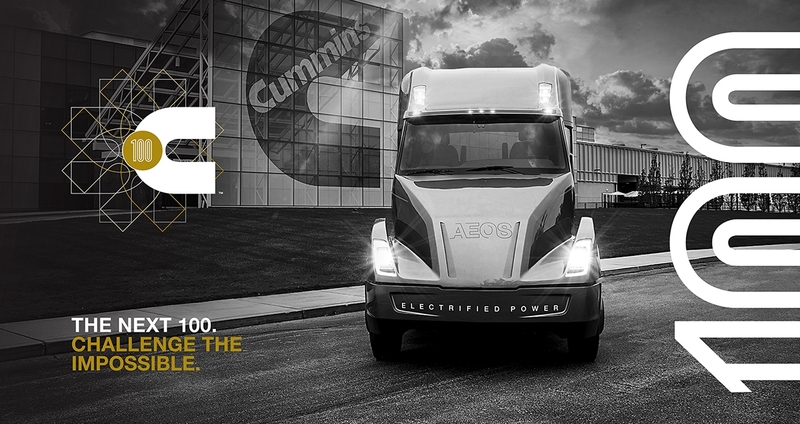 The founders’ innovative and entrepreneurial spirit can be seen time and time again throughout company’s history and today through the advances Cummins is making in clean diesel and natural gas technology and in the exciting potential of electrification and other low-carbon alternatives. So, while the company will celebrate its history this year, Cummins will also embrace the company’s future challenges, both within its industry and in the communities where Cummins does business and its employees live and work. Cummins’ sites around the world will celebrate with their employees and their families in a variety of ways to say thank you and continue building on the culture that is foundational to the company’s long-term success. The world has changed a lot since Cummins’ first opened for business, but the company’s commitment to its mission, vision and values, and Cummins’ brand promise of innovation and dependability remains the same. This commitment has benefitted all company stakeholders and will continue to guide Cummins in the future.